The Canadian embassy in Port-au-Prince succeeded in influencing Canadian reporters’ coverage of the country. 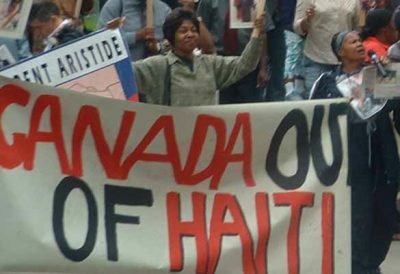 In her MA thesis titled “Covering the coup: Canadian news reporting, journalists, and sources in the 2004 Haiti crisis,” Isabel Macdonald concludes that the reporters dispatched to Port-au-Prince largely took their cues from official Canada. Rowswell has been quoted in at least a half dozen Globe and Mail articles about Venezuela in recent weeks.